Awesome Lake view location!!! This Custom Updated home has been meticulously gone through from top to bottom it has all the bells and whistles from brand new Energy Efficient Appliances, New Quartz Counters throughout the Kitchen, Bathrooms and Laundry Room the open Kitchen has well acquainted cabinets with new polished brass hardware the recessed lighting shows off your new gray and white quartz counters this custom kitchen is open to the Great Room with 26 ft ceilings of Knotty Pine tongue and groove throughout the flooring is brand new carpets stretch out for the evening in your spacious master suite with an exceptionally large walk-in closet and jetted soaking tub.make laundry fun again in the nice spacious laundry Room featuring a large Quartz Counter area for folding the clothes add the cabinets above for more storage . 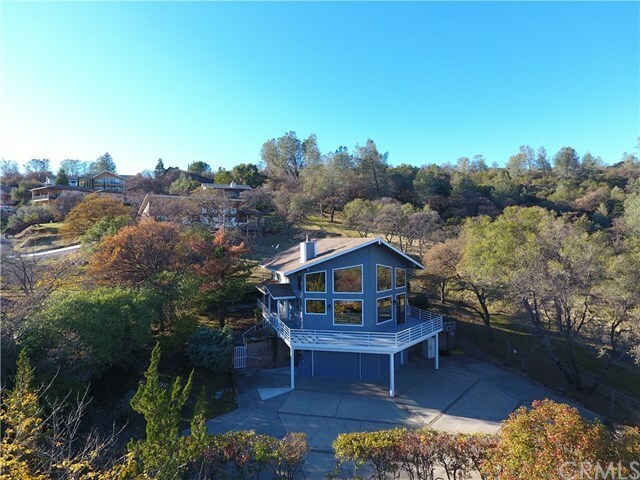 Enjoy the fantastic views of the lake and mountain range from the panoramic picture windows while warming up with the cozy fireplace or off your wrap around balcony the lovely home is situated with the privacy of a flag lot contiguous to the State Park Recreation area (greenbelt) including hiking, biking and horse trails. and proximity of being just a stones throw to the marina and seconds to the Kelly Ridge Golf Course and Social Club. This Custom Home is Perched above the Lake for breathtaking views start your day with that morning coffee while enjoying the views below and store your vehicles in your 3 car Garage.